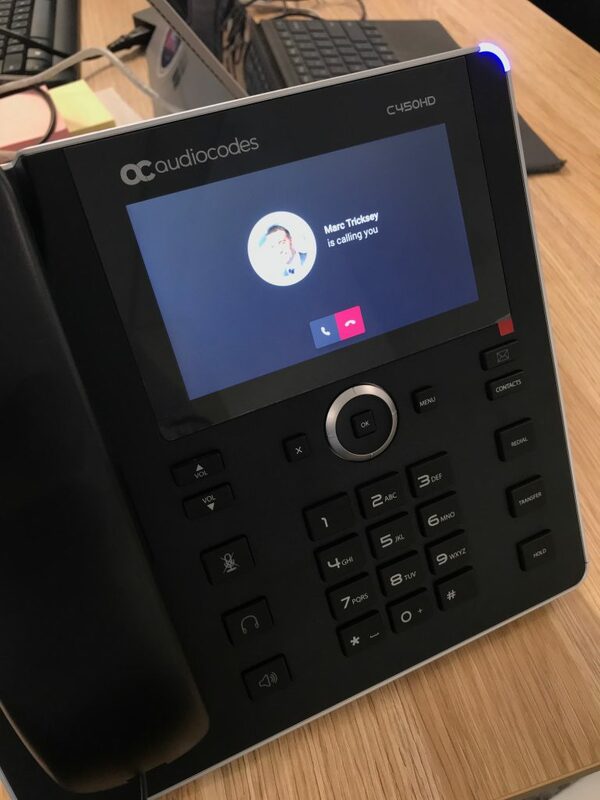 AudioCodes have recently released their brand new Microsoft Teams handset – the C450HD, and I’ve managed to get my hands on one! 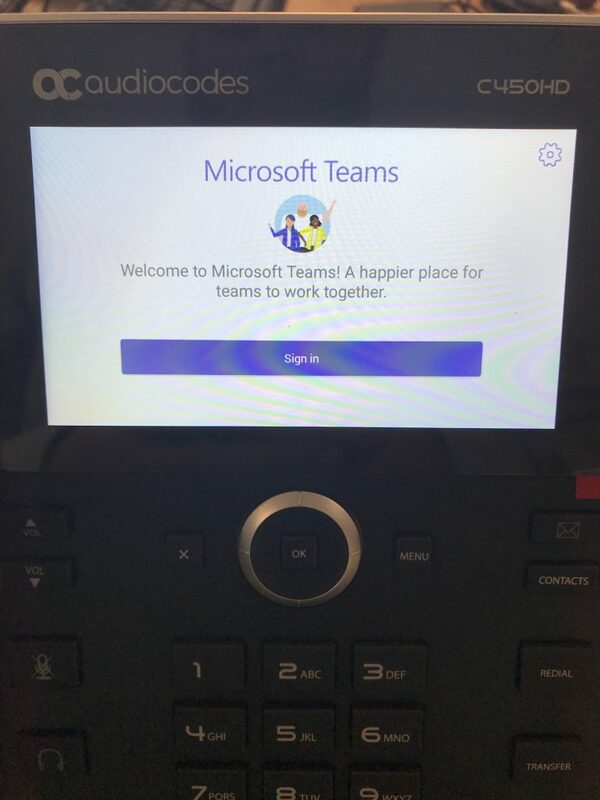 The C450HD is a much welcome addition to the growing range of Microsoft Teams handsets that are making their way on to the market. Over the coming months, expect to see further additions from the likes of Polycom and Crestron. 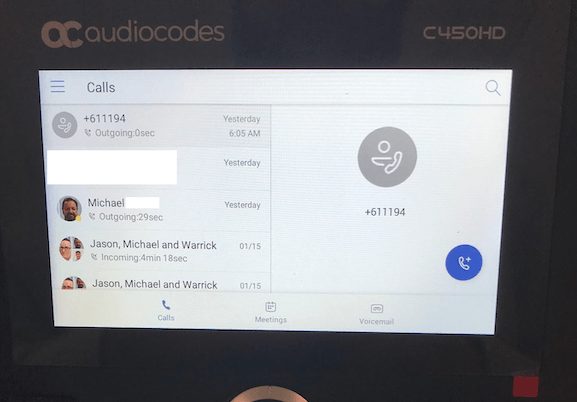 For now, Yealink and AudioCodes have you covered. One of the first things I noticed when unboxing the handset was the size of the built-in colour touchscreen display. 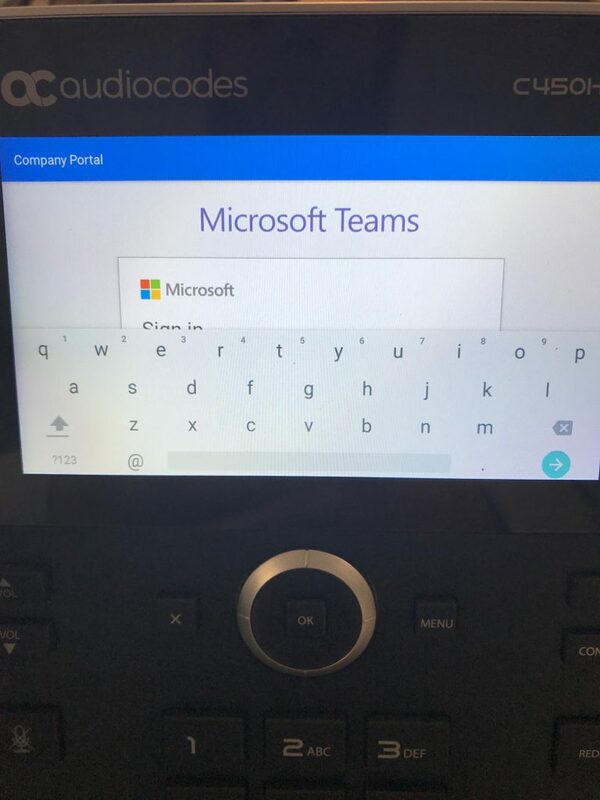 If you’ve ever tried to sign in to an Office 365 handset using just the keypad, you’ll know how having a touchscreen display is an absolute must. Thankfully, the display is bright, colourful and responsive, and the on-screen keyboard is easy to use with it’s more than adequately sized keys. Set up is as easy as plugging a PoE network cable into the LAN port of the handset. You can connect your PC to the passthrough port at the back too if you’re running short on LAN ports. 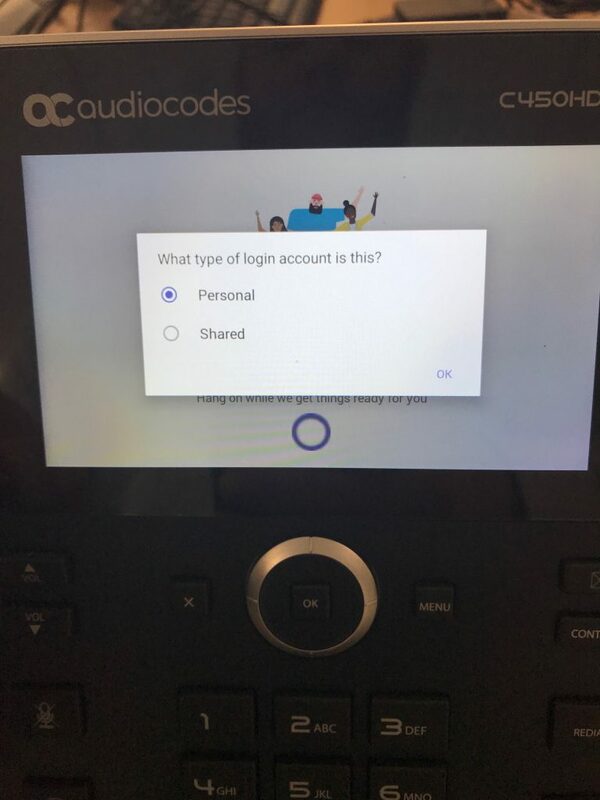 After a boot time of around 90 seconds, I was prompted to sign in to the device using my Microsoft Teams details. One thing to point out here is that the username field was hidden by the popup keypad. I could easily scroll down using my finger to display it on screen. Our tenant uses two-factor authentication (via SMS), which was handled seamlessly by the handset. I was then prompted to choose between Personal and Shared. Personal activates all features on the handset and allows the user to use the handset like their own personal device. Shared puts the handset into meeting room mode, disabling the recent calls and voicemail tabs. If you’re used to the old Lync Phone Edition handsets, you’d be forgiven for thinking that the indicator light in the top right of the handset indicates your current status (green = available, red = busy, yellow = away). On this handset, it does not. Setting your Teams status to away or busy does not change the colour of this light. The light will flash blue when you receive an inbound call, and will then revert back to green once the call has ended. During a call, the light will stay red. Running on Android 7, the interface is clean and easy to navigate using the touchscreen display. The on-screen buttons feel like they’re the right size – even for my fat fingers to mash. Along the bottom of the display are three tabs: Calls, Meetings and Voicemail. The calls tab shows you your recent call list. Tapping one of these allows you to re-dial that person or group again. The meetings tab shows you your upcoming meetings, who’s attending them along with a one-hit join button. 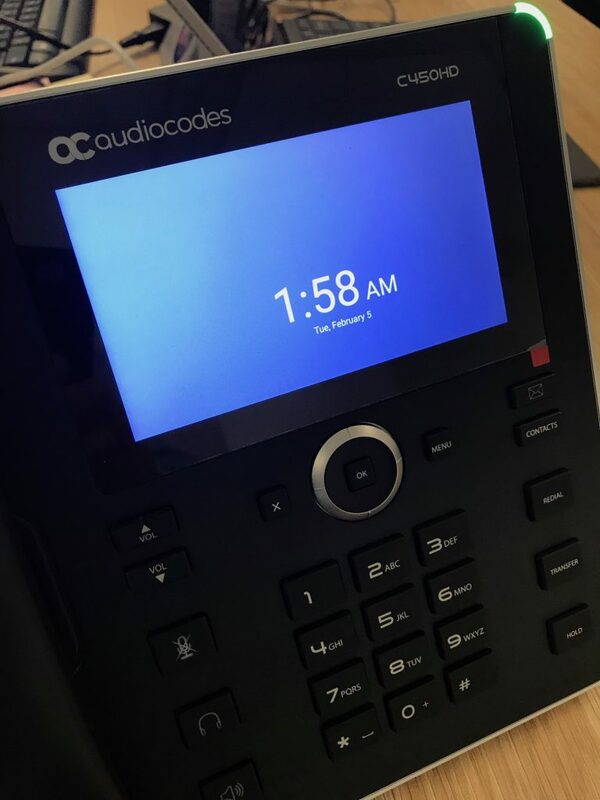 Voicemail displays .. well, your voicemail! 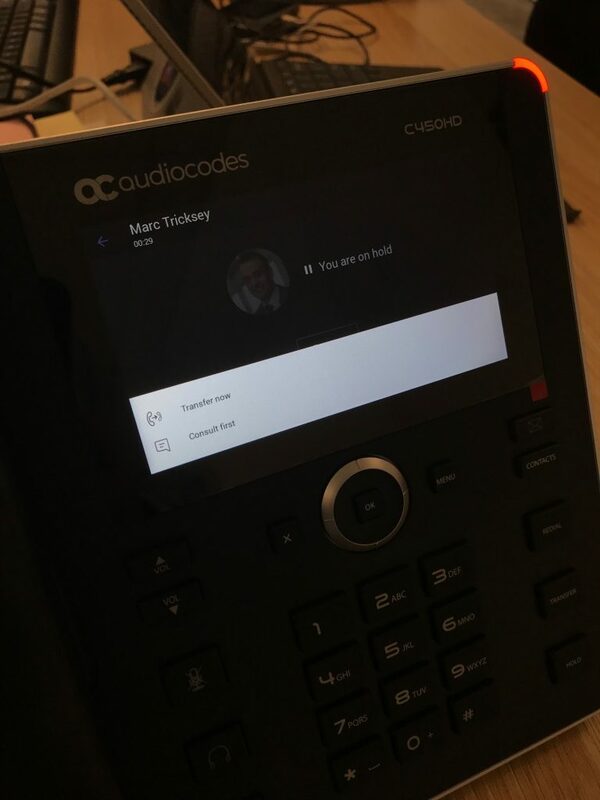 When you receive an inbound Teams call, the display changes to show the persons name and photo (if they have one), and the indicator light flashes blue. You can choose to answer the call or ignore it. There’s no option to forward it to somewhere else. Once the call is answered, you can put the caller on hold, or transfer them to someone else (either unannounced or via consult first). Outbound calls work the same. You can choose someone from the recent calls list, search for someone in the directory by name, or dial a phone number using the keypad. 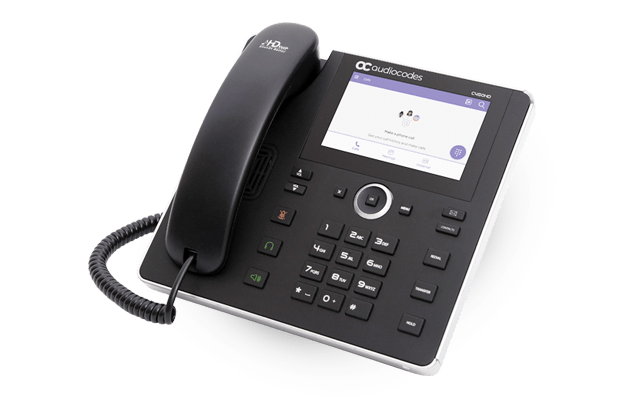 Audio quality on both the handset and speakerphone is decent, and the audio volume can be cranked pretty loud if you’re planning on using the handset in a meeting room. The ringer volume is ok, but you may experience issues if it’s being used in a very loud environment. I liked the addition of the standby screensaver mode too, which displays the current date and time. As with anything brand new, there are always going to be a few niggly things. Im fairly confident that these are trivial though, and will more than likely be addressed with firmware updates. Performance-wise, I did note that the handset appears to lag when flipping between screens, answering calls and dialling numbers using the keypad. If I lift the handset and dial 132200, the display takes aprox 1.5 seconds to flip to the dial screen, and then only displays 2200 (missing that I dialled 13 first). 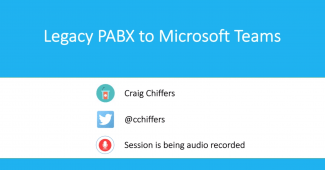 I did also encounter a crash where the Microsoft Teams app running within Android appeared to freeze. 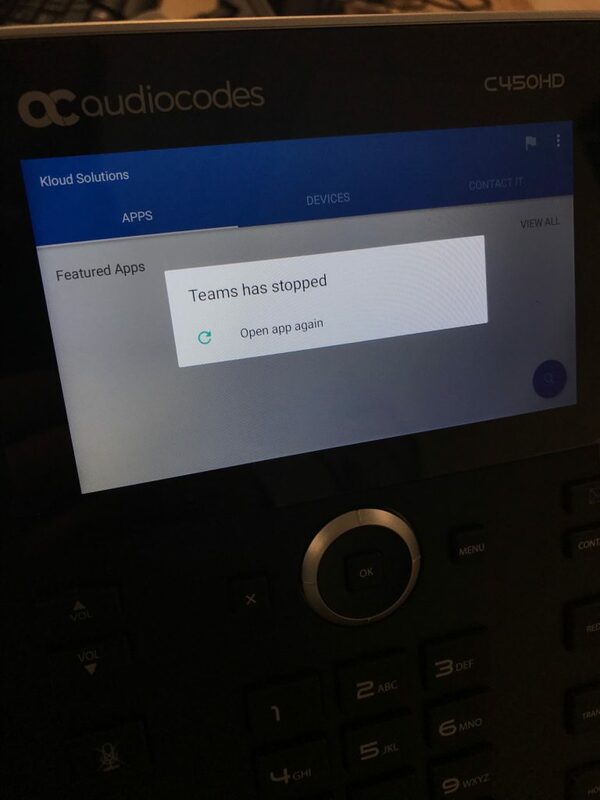 Tapping Open App Again caused the phone to close and re-open Teams which took only a few seconds. 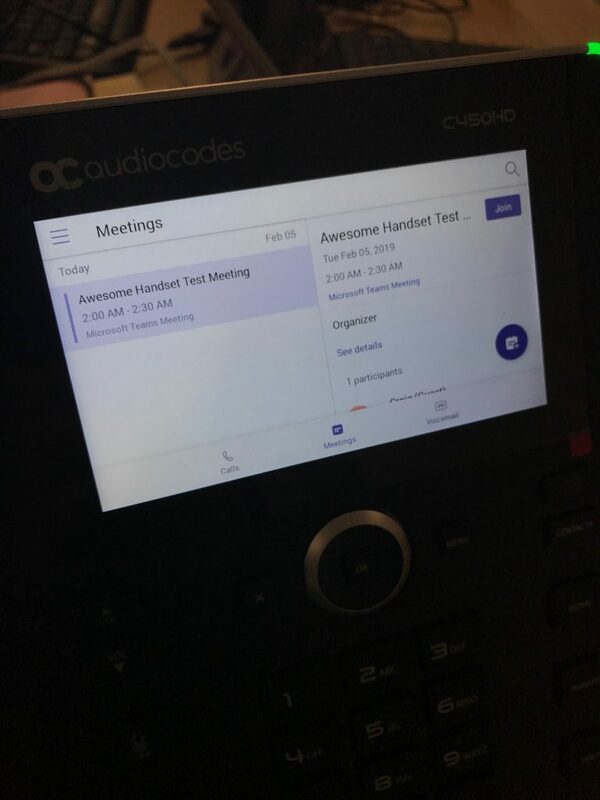 Overall, the AudioCodes C450HD is a welcome addition to the forever growing family of Microsoft Teams devices. Users will find its touch screen interface easy to use. There are a few quirks to iron out, but these should be addressed with future firmware updates.